With its lightweight composite toecap and midsole, Fastlane II is one of the most stylish and comfortable safety shoes in the range. It�s made with a deep padded lining that wicks moisture from the foot and has a dual shock absorbing footbed to cushion every step. Upper: Suede leather/mesh upper. Hardwearing rubber toe buffer with recessed stitching. Unique fisheye lace system to achieve the perfect fit. Reflective heel inserts with ankle stabiliser. Lining: Padded, moisture wicking and highly breathable. Cool in summer, warm in winter. Footbed: VS100 twin shock absorbing footbed is contoured to supports and cradle the foot. Toecap: Wide fitting composite non sparking and thermal insulating. Tested to impact of 200 Joules. 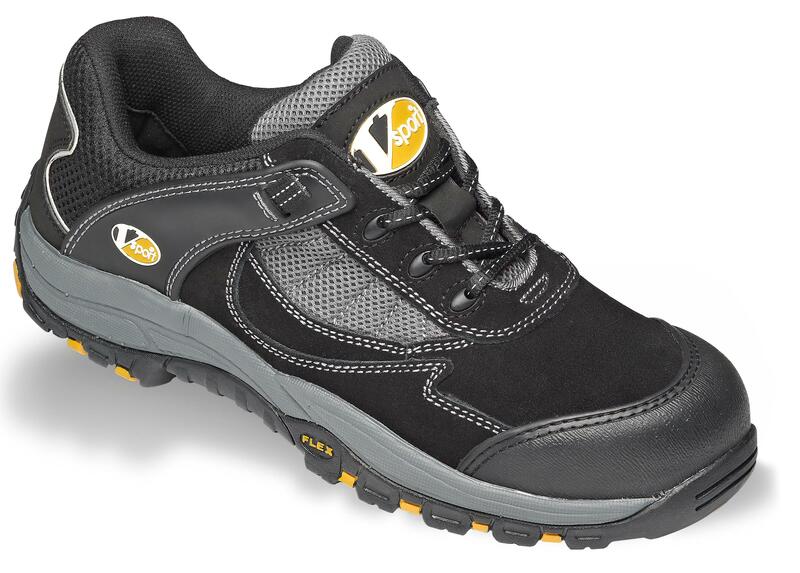 Protective midsole: Flexible woven composite material, pierce resistant to 1100N. Sole: Triple-density Phylon/Rubber provides high slip resistance. Anti-static and abrasion resistant to latest EN standards. Heat resistant to approximately 300�C. Acid, alkali, oil and hydrocarbon resistant. Shock absorbing defined heel.